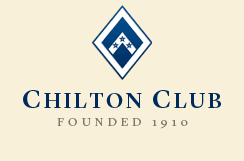 The Chilton Club is a gracious Boston city club established in 1910, originally as a club for ladies. WOMEN IN THE CASTLE was highly recommended to the Reading Circle. Jessica was an enormous hit!! She is charming, articulate, gracious and poised. The lecture – as all are- was held in the ballroom with chairs arranged somewhat formally, lecture style with podium. She was at ease with the microphone and moved nicely as she answered questions. She would listen, answer the question, and then adeptly use the question to offer more insight. Most of the people present were older than she, and she was skilled in speaking to them with genuine warmth and honesty – during her talk, answering questions, and while signing books! And a great conversationalist during lunch. The event was one of our most enjoyable and successful of the year, partly because people were intrigued by the book and the colliding stories of the three women (and indeed many had read it), and because they found Jessica refreshing as a speaker. She created the right balance of timing, content, and personality.